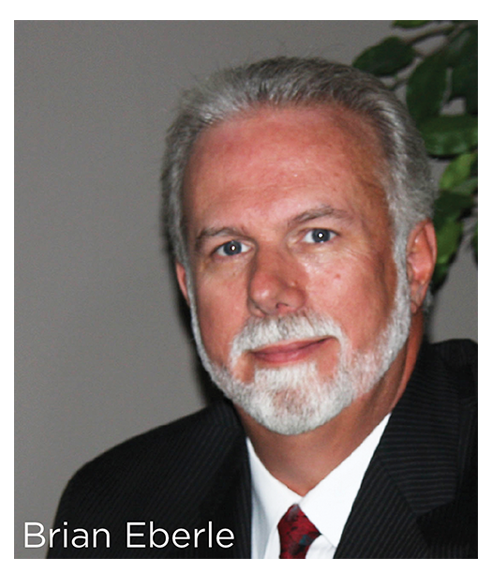 Brian Eberle, Director of Marketing & Sales at EUROSHIELD® Roofing Products in Calgary loves old tires since they are the main ingredient in a line of slate and shake roofing styles that can out-perform the real thing. What’s the ‘elevator pitch’ on the EUROSHIELD® story? G.E.M. 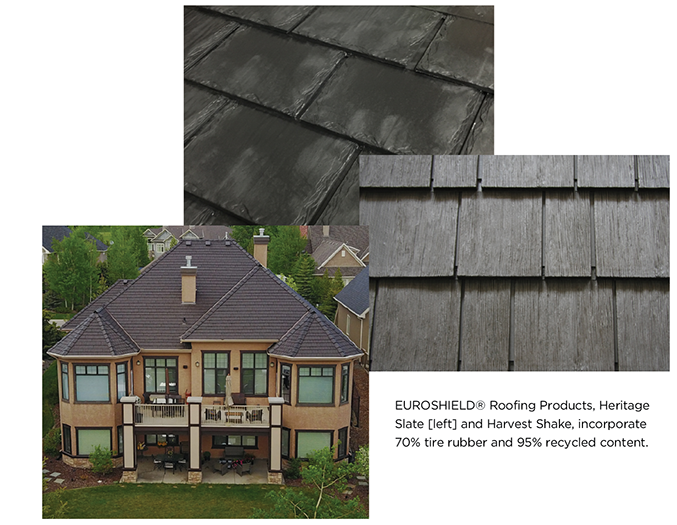 Inc. [EUROSHIELD® Roofing Products] was founded in 1999 by local Calgary entrepreneur Henry Kamphuis with the goal of producing the world’s finest rubber roofing shingles using the deluge of used tires ultimately destined for landfill sites. Years of research and development has led to the creation of a unique formula containing approximately 70% tire rubber and 95% recycled content, resulting in the very best synthetic roofing products available on the market today. Approximately 400 [but up to 1,000] rubber tires are diverted and recycled in the production of a single EUROSHIELD® roof for a residential home. Scrap material generated during the manufacturing and installation process is also collected and recycled again – virtually eliminating environmentally harmful waste. Euroshield products are available in two profiles: Shake-like and Slate-like rubber roof panels. Rundle Slate and Euroshake are the original thicker profiles and a thinner and lower cost line is comprised of Heritage Slate, Harvest Shake and Beaumont Shake. How many tires do you take out of the waste stream in a year? It’s hard to say exactly how many tires as they come in different sizes and types but we used approximately 7 million pounds of tire-derived crumb rubber over the course of the last year and that number is growing. According to Alberta recycling, in 2015 Euroshield utilized 53% of all crumb rubber consumed by Alberta manufacturers from Alberta processors. What is the track record on your roofing products? Is the recycled content of your product a strong selling point with your customers? Our customers are drawn to Euroshield products for three reasons…Looks, Durability and the fact it is very Environmentally Friendly. It has taken time for people to warm up to recycled products in general but today it is not just accepted… it is expected and definitely a strong selling point. Our customers tell us they love the look of their new roof and are pleased that they have been able to contribute to waste reduction at the same time. In the multitude of testimonials we receive, the environmentally friendly feature is most often mentioned and was instrumental in the purchase decision. Do you see EUROSHIELD® evolving to a cradle-to-cradle model where your roofing is recycled into new roofing? That is entirely possible, however, with a lifetime warranty [first 50 years non-prorated] and a life expectancy well beyond that, it will be a while! At the present time, we accept trim pieces generated from the installation process by contractors where possible and practical. These trim pieces, along with scrap pieces generated during the manufacturing process, are used in the manufacture of Euroshield starter strips that are used under our field panels during the installation process. Euroshield products are covered under CCMC guidelines in Canada and meet or exceed the National Building Code of Canada. In the USA, our products meet or exceed the requirements for ICC-ES. New products and innovations are coming in 2018…stay tuned! CategoriesInterview Tagsenvironmentally-friendly, EUROSHIELD® Roofing Products, recycling, roofing products, rubber, rubber roofing shingles, SabMagazine, SABMagazine.com, Slate-like rubber roof panels.